Dr Manish Banker is an infertility specialist and the Executive Director of Nova IVI Fertility Clinics, India’s largest group of IVF clinics with 20 clinics in 15 cities and Pulse Women’s Hospital Ahmedabad. He has done his under graduation and post graduation with honors, from VS Medical College and Hospital, Ahmedabad. After completing his studies, he had advanced training in IVF and Endoscopy in Australia and Germany. He is Course Director and PG teacher for the 2 year Fellowship in Reproductive Medicine offered by the National Board of Examinations and is also the Course Director of the 1 year fellowship in ART offered by Nova IVI fertility. He has been one of the pioneers in IVF in India and started his IVF practice in 1996; he has to his credit more than 9000 successful IVF pregnancies. He has been the President of the Indian Society for Assisted Reproduction (ISAR) and Chairman of the infertility Committee of Federation of Obstetric and Gynecological Societies of India [ FOGSI ]. He sits on the International Affairs Committee of the American Society for Reproductive Medicine, Board of Directors of Pacific Rim Society of Reproductive Medicine and Surveillance Board of IFFS. He is a Member of the Draft Committee for ART Bill of India, I. C. M. R., Ministry of Health and is the Regional representative for the International Committee for Monitoring ART [ ICMART ], a WHO affiliate. 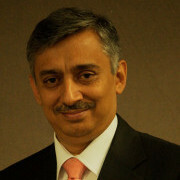 He has also been a Founder Board Member of Asia Pacific Initiative on Reproductive Endocrinology [ASPIRE] [2006 – 2008]. He is the Scientific Co Chair of IFFS 2016. Dr. Banker has delivered numerous orations and talks at International and National Conferences, has to his credit numerous publications and has contributed many chapters to text books. He has been publishing the National ART Registry of India for more than 10 years.